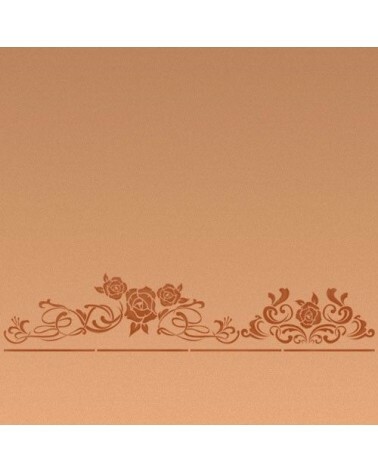 Large format stencils for decorating rooms, walls, ceilings, furniture, curtains, carpets, cushions, etc. 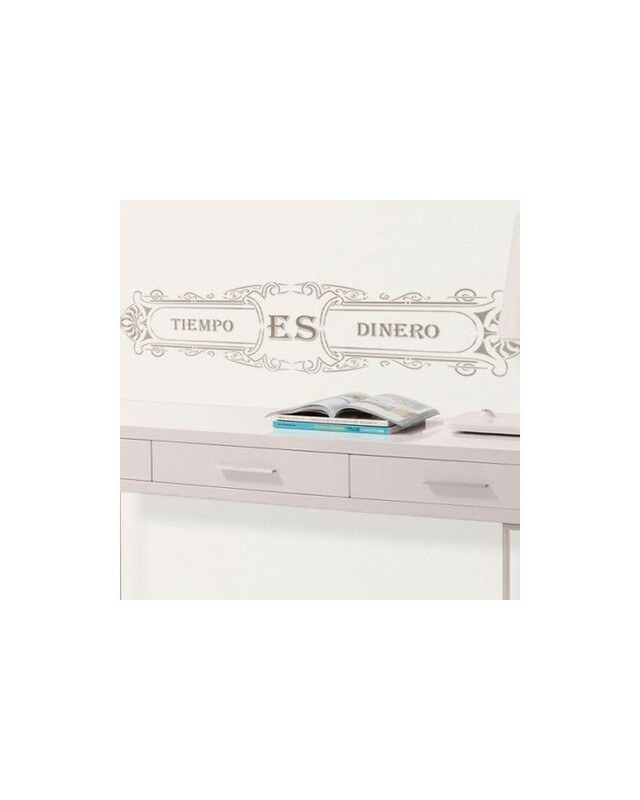 Text: "Tiempo es Dinero". 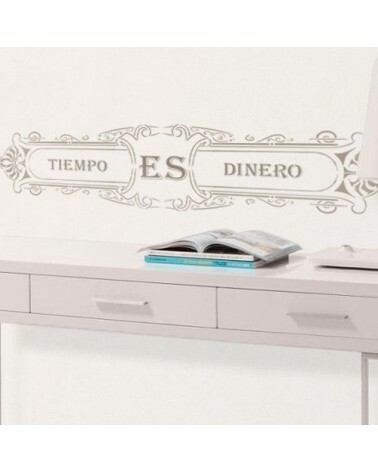 With our stencils for walls can wall stenciling accentuated with these poster prints and get impressive results by spending only a fraction of the price of wallpaper or self-adhesive vinyl. 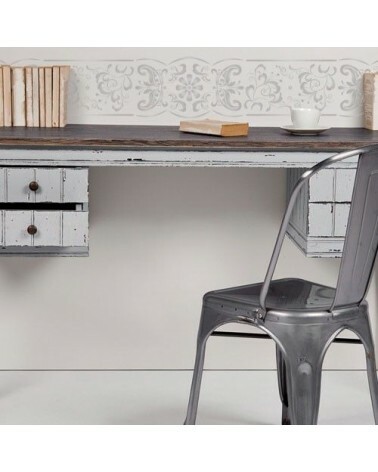 While we recommend previous experience in the painting by stenciling, even untrained users can produce outstanding results. 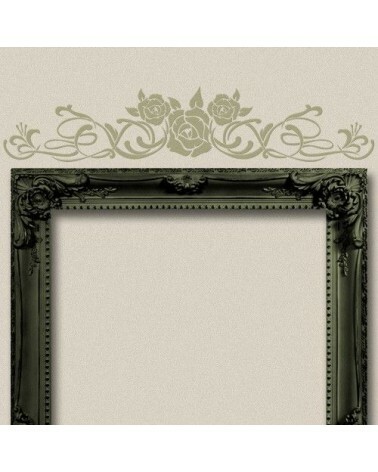 The Stencils have an easy registration, just use rows of the design to align the template. 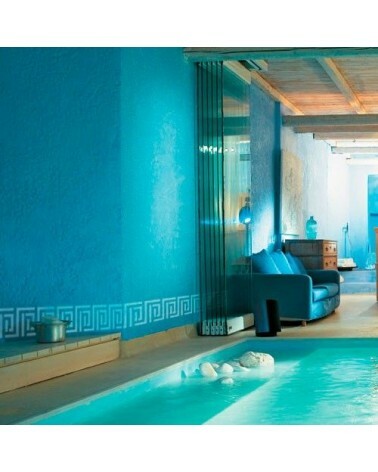 You should not worry about super perfect alignment, the human eye will never notice that the design is a bit weird. 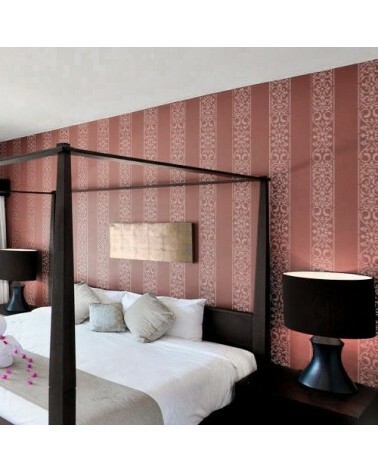 The first time the template is placed on the wall to start stenciling was to use a level to ensure a good base. 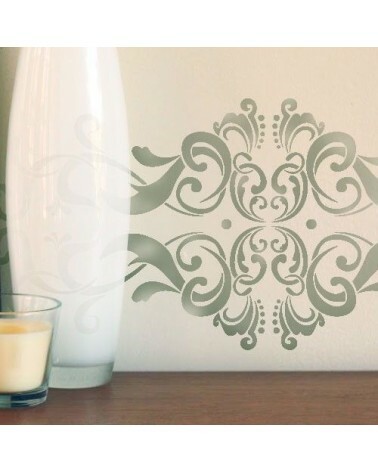 If you want to learn how to stencil a damask stencil on one wall you can follow this tutorial with step by step application tips. Also you can see our video tutorials where you'll learn extremely useful techniques that a beginner can get great results. This template comes with a smaller additional template to make it easier to fill near the roof line gaps. To see how these templates are used click here for Illustrated instructions: Using templates top. We also include a FREE small simple template that will help you reach the most difficult places or narrow as around moldings, switches, closed curves etc. Application Difficulty: Easy. Beginners. One layer, technique with brush or roller. You can also order a Stencil of your logo or any design you want.